“Massachusetts Lawmakers approved a resolution condemning antisemitism”. I have a problem with this stand by these Lawmakers for the various reasons. A very good question, because from where I stand it seems that antisemitism is not someone hating Jews but who the Jews have decided to hate for the multitude like reasons that could be anything, including a philosophical disagreement or more recent it seems, a disagreement over a historical happening. 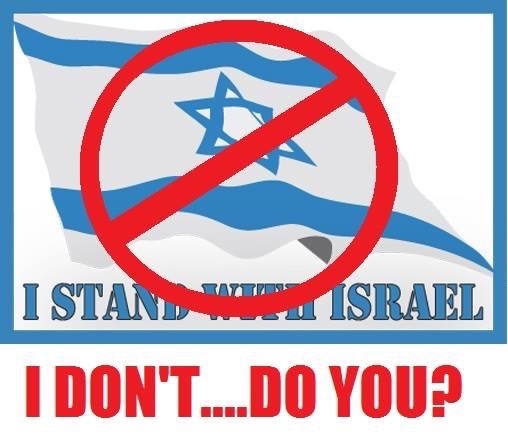 This resolution is no more that a one way street to placate one religious persuasion to stop all criticism, discussion or opinions that are not favorable to the Jews, period. One wonders how far the ADL, the backers of resolutions such as this, would have gone if they had existed during the writing of the Declaration of Independence. The document that gave us the freedom to exist as a free nation today would never have become a reality if the ADL had existed then because that document was full of criticisms, something your resolution is screaming for by the things it has decreed, criticisms and opinions that differ from the exercising reigning power, England. That founders document exposed as it did a proposition to end tyranny through rebellion and even violence and it complained vigorously about the way the King abused his power towards the colonies. Basically, what your saying is, if some nation attacked Israel for its genocidal actions and I applauded those actions I would be labeled an enemy of the Massachusetts State house. Totally absurd. Wake up people. Take the ADL blinders off. That may be true, but Free societies don’t stop criticism of the ruling governmental bodies here OR overseas nationalities, in this case Israel, and it doesn’t stop inquiry into past history such as the holocaust or WW2 history. If I disagree with the Jewish version of the holocaust I have the right as an American, as governed by free speech and the Bill of Rights, to have an opinion that may differ from established history. It allows revision that corrects wrong opinions that are based on falsehoods and rumor, it stands on facts and truth and you or nobody else has a right to label that as “antisemitism”. If that is so then even this comment below would by your resolution standards would be antisemitism. Your resolution is NOT needed in America because the Jewish community is thriving wonderfully without the scare tactics of the ADL in promoting that the sky is falling. Not a good decision to promote love for the ADL and a reason not to put any faith in their opinions. Your resolution condemning antisemitism unfortunately crosses the line of free speech. of a past Justice, Robert Jackson. Don’t let the ADL start this nation on a downfall to totalism and don’t let the Massachusetts State House take a stand for another nations “nationalism”, Israel. Please don’t fall for thus ploy. We don’t need this resolution. The impetus for the measure came from the ADL of New England, out of concern about the rising incidents of global anti-Semitism and its impact on Massachusetts. Massachusetts lawmakers in a joint legislative session approved a resolution condemning anti-Semitism and calling for expanded anti-bias and Holocaust education. A similar resolution that decries anti-Semitism and all forms of faith-based violence is under consideration in New Jersey, where a bill is expected to pass that state’s senate March 16, followed by its state assembly, according to the New Jersey State Association of Jewish Federations. The Massachusetts resolution was approved on Monday. It was sponsored by State Senator Cynthia Stone Creem, and Lori A. Ehrlich, both Jewish members of the state legislature, and is expected to be signed later this week by Speaker of the House Robert DeLeo and Senate President Stan Rosenberg. As a joint resolution, it does not require the signature of Massachusetts Governor Charlie Baker. The impetus for the Massachusetts measure came from the Anti Defamation League of New England, which initiated discussion with the two leading sponsors out of concern about the rising incidents of global anti-Semitic violence and the impact it is having in Massachusetts, according to Robert Trestan, regional director of ADL New England. He believes Massachusetts is the first state legislature to approve such a measure. “Events in Europe have elevated the anxiety within the Jewish community,” Trestan said, referring to the murders at the kosher supermarket in Paris and the murder of a Jewish guard outside a Copenhagen synagogue. The regional ADL has seen a rise in the number of reported incidents of anti-Semitism beginning with last summer’s conflict between Israel and Hamas in Gaza and since the murders in Europe, he said. There’s also a concern about security for Jewish institutions, Trestan said, noting that Jewish groups have been specifically targeted. Increasing education about anti-Semitism and bigotry and hate should be a priority for all schools, he said. “This statewide resolution shines a light on a disturbing trend while sending a strong, unequivocal message that such behavior will not be tolerated in the Commonwealth,” said Ehrlich who represents a district north of Boston with many Jewish residents and institutions. “In free societies, education and remembering past tragedies like the Holocaust play a critical role in defeating fanatical anti-Semitism,” said Creem, who represents Newton, a suburb of Boston with a substantial Jewish population. A bill condemning anti-Semitism that calls on American and European leaders to take specific actions to confront it is currently before the U.S. Senate, sponsored by Sens. Robert Menendez (D-N.J.) and Mark Kirk (R-Il. ).